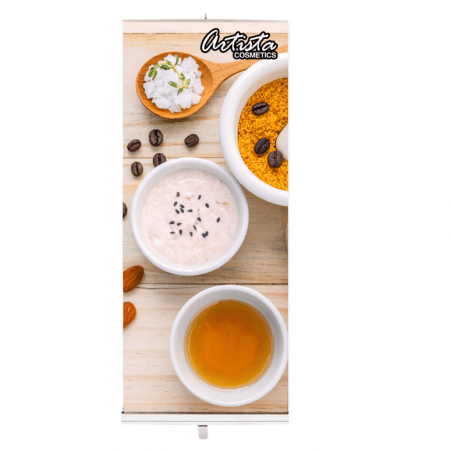 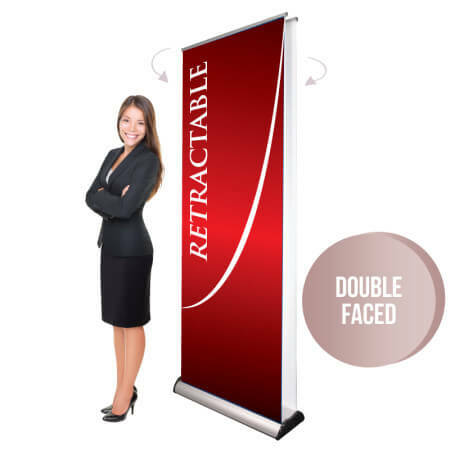 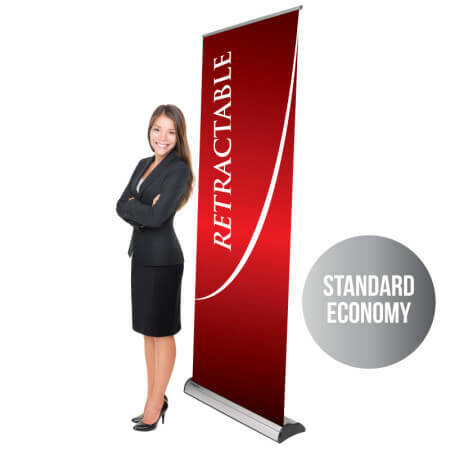 Retractable banner stands are a great way to QUICKLY and EASILY display your promotion! 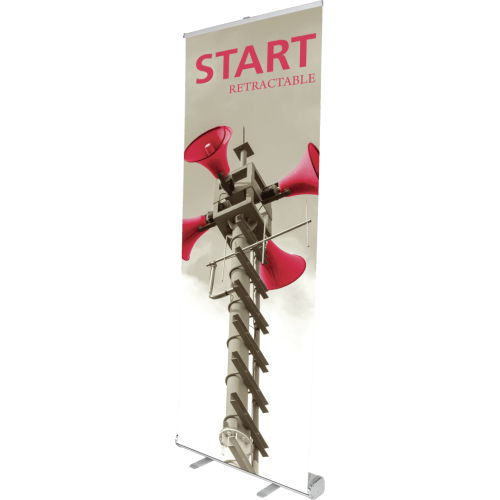 No tools are needed, just pull up on the banner from the base and hook onto the pole. 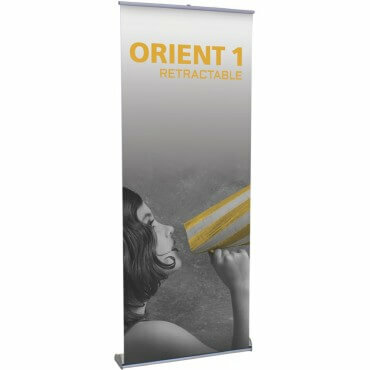 Boom, done! 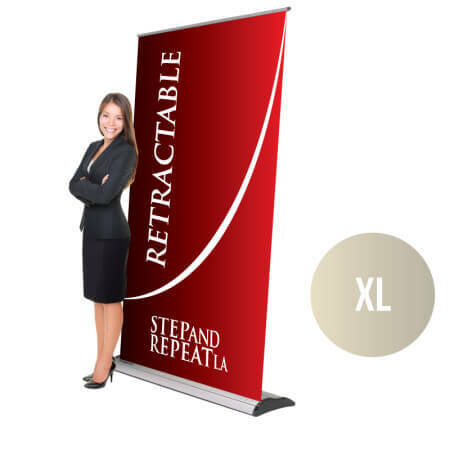 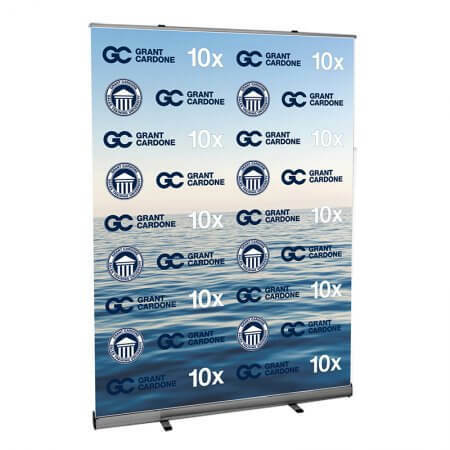 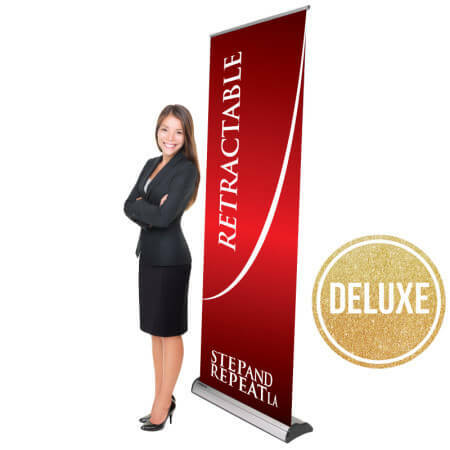 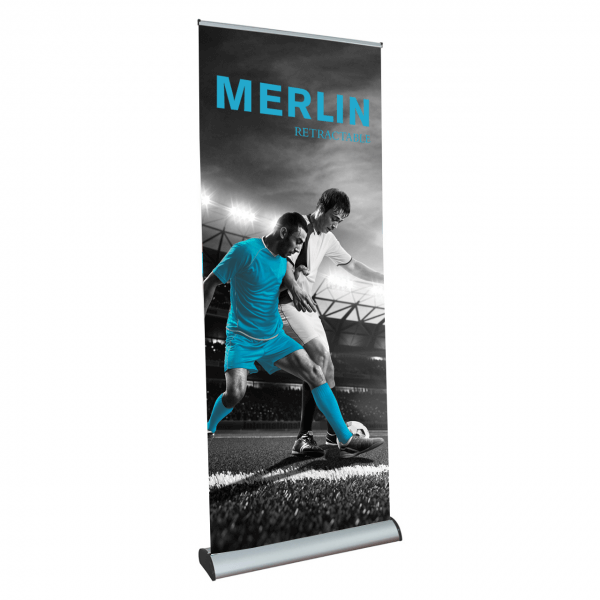 We offer several retractable banner stand models in various sizes and qualities. 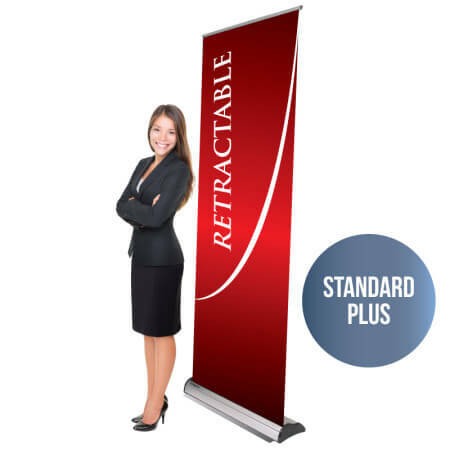 These stands are an easy, cost-effective, promotional solution! 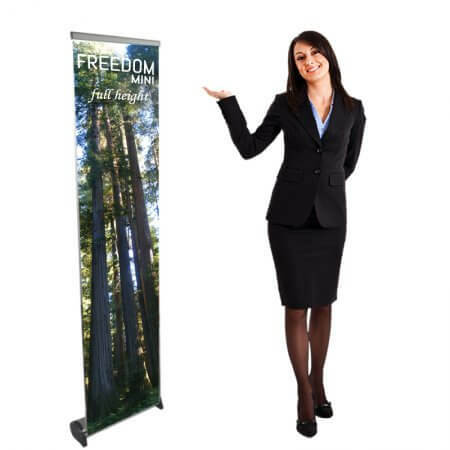 These stands are generally used for indoor use, but can be used outdoors as well.